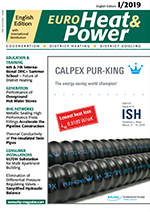 The current issue of EuroHeat&Power magazine is dealing with important topics from the fields of generation, DHC networks and consumer installations, such as “Performance of Overground Hot Water Stores”, “Thermal Conductivity of Pre-insulated Twin Pipes” and last but not least “Simplified Hydraulic Balance”. Find out more about this in the following. As an EuroHeat&Power subscriber you have access to our current e-magazine and the e-magazine archive during the subscription period! 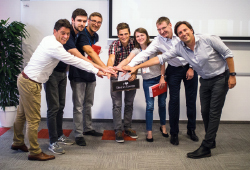 After the 6th successful edition of the DHC+ Summer School, the DHC+ Team is about to start focusing on the 7th edition! Before launching the new edition, let’s take some time to have a look at the format and content of the previous edition. 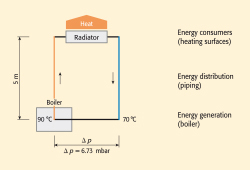 Hot water stores represent an integral part of heating systems. 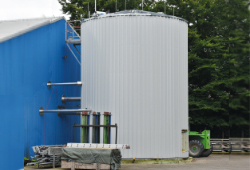 A new store design offers numerous benefits compared to currently at the market available storage technologies, in particular pressure vessels and conventional flat-bottom tanks. This paper delivers first results regarding the performance of a demonstrator with the new design, which is basically a small-scale tank with a volume of approx. 100 m³. energie.de starts in March 2019 with a relaunch and a new concept with advantages for readers and advertisers. 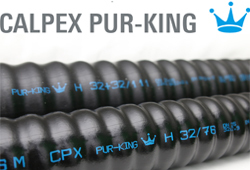 Metrological determination of thermal conductivity of thermal insulation in pre-insulated twin pipes has been prevented yet, caused by the more complex geometry of twin pipes compared to single pipes. 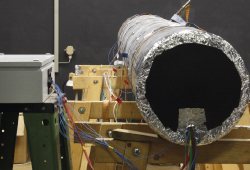 Now a method has been developed for metrological determination of thermal conductivity of thermal insulation in pre-insulated twin pipes within a government-funded research project. Ultra-low temperature district heating (ULTDH) substations may be an important enabler for integrating higher shares of renewables and waste heat in the district heating (DH) network. 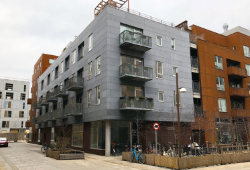 This article describes a concept and experimental field results for producing domestic hot water (DHW) in a multi apartment building at DH supply temperatures of approx. 45 °C. An international company uses an enormous amount of energy in the production of stainless steel – especially during steam generation. 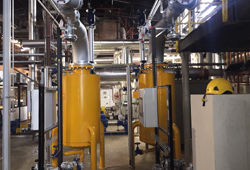 How can steam be utilized economically and unused surpluses avoided? Through a steam-water heat transfer station the heat of the surplus steam is transferred to the water in two stationary heat exchangers, which is then available as hot water for further use. Never miss another issue! Get your annual subscription now! If you want to unsubscribte the newsletter please click here . Send us an email to info@ew-online.de or call us at +49 69.7 10 46 87-0!